Dolores is a well known hypnotherapist who developed the QHHT technique to take people into a state of consciousness to access memories which are relevant to our lives today and to communicate with the greater consciousness of the client. She has published many books detailing information revealed through her clients, involving information from past, present and future, other lifeforms, other dimensions. 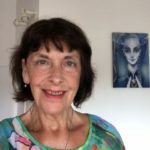 I refer to Dolores in the present tense because although she passed from the physical body in October 2014, she is strongly working with her many practitioners and her work is carried on by her daughter Julia and supporting staff. I am a certified QHHT Dedicated Practitioner, situated in Mount Roskill South. Auckland, New Zealand. The QHHT sessions take place in my private, octagonal-shaped dwelling behind other homes, not visible from the street. The tranquil setting, away from the stress and noise of the city and in a quiet, nurturing environment, helps in the sessions. The session involves time spent getting to know you, your questions, difficulties you may be experiencing, your life, your aims, exploring something strange which may have happened to you, and other matters which you might want answers to fro m your SubConscious/SuperConscious/Higher Self/Infinite Consciousness/Source Energy. The hypnosis session is carried out with you relaxing in a reclining chair, or on a bed, and after the session we spend time discussing the experience and wisdom gained and healing experienced. I record the session, and I email this to you after the session for you to listen to. It is recommended that you listen to the session several times to gain the full benefit of the information you received, because like any healing, more information and changes can continue to occur. The session is usually about 3 hours. You must be able to easily speak and understand the English language. 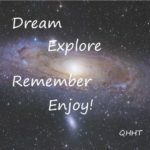 Here is a guided meditation to help you relax and so that you are used to following my voice during your QHHT session. and if you need help to clear an addiction, this may help you Clearing / Healing Addictions This is not a QHHT session. ” Hi Lani I just wanted to thank you again for the session the other day and how much I am grateful to you. Since that day I feel like I’ve got much more clarity in my thoughts and less fear, I feel like I can move forward in my process and yesterday afternoon I connected with my higher self and I could feel him giving me his hand that was a very beautiful experience” – by text. ” I’ve had a tremendous change in my perception and experience since having a session with you. I’m constantly connected with my higher self and have wonderful synchronicities happening many times each day. I’ve honestly never been happier in my life. Thank you again. ” B. One person came with a strong fear of flying which she wanted to clear. The session explored a different life reality and also the SC showed her the home she grew up in, a long distance from New Zealand. The SC revealed it was not a fear of flying but it was the fear of what she would experience at the home. After her trip back there she was absolutely delighted to tell me that the fear had completely gone and she did not need to take strong medication before the flights.